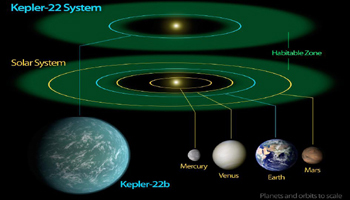 NASA's Kepler mission has confirmed its first planet in the "habitable zone," a region where liquid water could exist on a planet's surface. About one in 10 mobile phone subscribers in the United States is now using an Apple iPhone, said a new survey released on Friday. China successfully launched into space 10th orbiter for its independent satellite navigation and positioning network known as Beidou, or Compass System. Yuan Longping's dream is to have a new hybrid rice that will yield at least 15 tons of grain per hectare, and he is already halfway there. Only two weeks after its shipment, Amazon's Kindle Fire has already shown the momentum to grab the second place in global tablet computer market. The U.S. Justice Department Friday approved Google's 400 million dollar acquisition of Admeld, a company that provides an online advertising platform for publishers. Israeli archaeologists says "Herod did not complete Jerusalem's Western Wall"